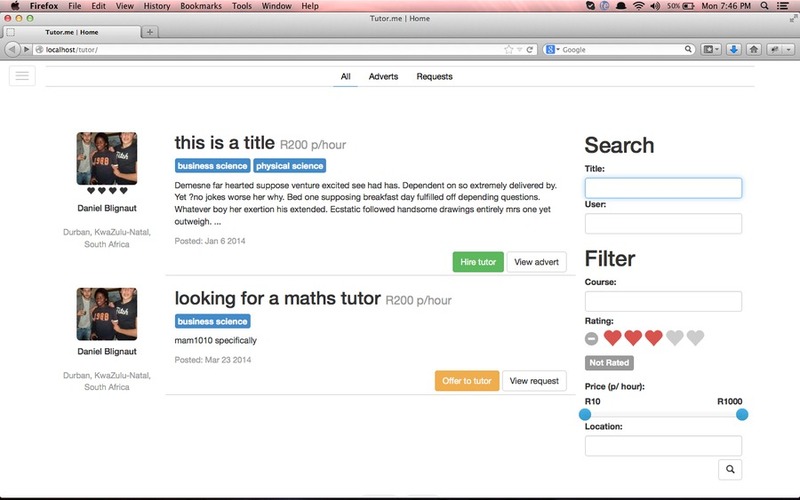 This is a screenshot from a tutoring marketplace we recently designed and developed. It's soon to go online but follows a simple flow design. We love, we hoe you love and we know you'll love us.